The following article discusses mild details from the game, The Walking Dead: Season One. It may seem to have arrived decades ago, judging by how some people talk about it, but the original Walking Dead by developer Telltale Games arrived just five years ago, in April of 2012. In its wake, critics and fans alike united in praise of the game. While some voiced issues with whether it could truly be called a game, there was little doubt that The Walking Dead was something special. Time justified that assumption. 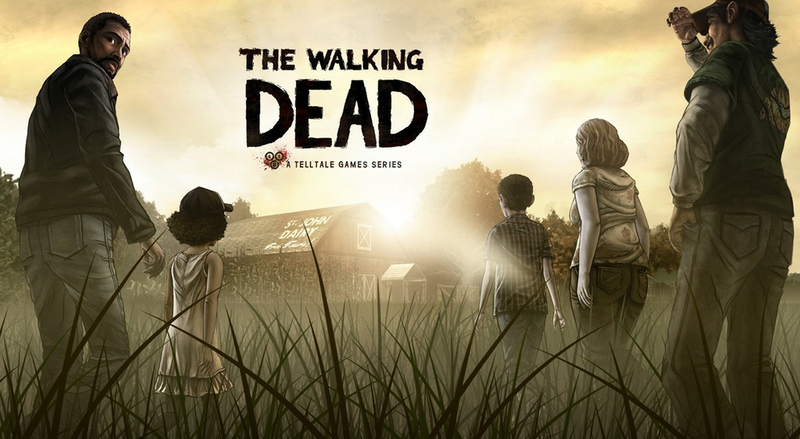 In the years that followed, The Walking Dead was constantly cited as a source of inspiration for other game developers. Its emphasis on choice, narrative, and character building influenced games far beyond the realm of adventure gaming. Other genres adapted the dialogue system, even if only to mild effect, while games like Life is Strange adapted and remixed The Walking Dead’s approach to new effect. Telltale has gone on to continue the series in new iterations. However, for many, The Walking Dead’s first season remains its strongest, and there are important lessons to be taken from it regarding character and narrative. To capture the entire story of the game would be difficult, but in brief, it involves the efforts of a group of zombie outbreak survivors as they attempt to find a way out of the disaster. Although many characters move in and out of the narrative, there are many who starred and became beloved. Front and center was the game’s main protagonist, Lee Everett, a former professor whose story opened with him in the back of a police car. Early on, he encounters Kenny, perhaps his closest friend throughout the outbreak. Kenny was portrayed as a family man simply trying to get his wife and child away from danger. Others joined the group along the way, like Lilly, a former member of the air force, or Christa, a member who joined the group only late in their adventure. For writers, the importance of diversified personalities becomes immediately apparent when assessing the cast. Lee’s behaviors were often controlled by the player, but he seemed to be written as a balanced force who could manage the multiple, competing personalities in his group. Kenny was goodhearted enough, but also prone to outbursts, cracks in his mental cool, and a quickness to abandon others he found useless. Lilly, like her father Larry, was hotheaded and judgmental. Christa was cautious, but not cruel. Kenny, before he started to slip. Importantly, the combination of characters lent themselves to arguments, but also agreements. When things were good, they were really good, at least for as long as peace lasted. When they weren’t struggling with a horde of zombies, Lee and Kenny often came across as men who could have been close buddies in another lifetime. In the brief moments when the survivors got to sit around and talk, they didn’t seem much different from the many people you meet from day today. Of course, there’s one character that’s gone without mention until this point. The reason for that is that she is both a critical character, and the impetus for the plot’s movement. Telltale’s The Walking Dead, like the larger series, is a show without a true destination. It takes people, observes them under stressful circumstances, but makes no concrete attempt to find a zombie cure or some fabled Eden where the government thrives and mankind is safe. Instead, the story is motivated by the protagonists’ desires to save themselves, but also the people they care for. Kenny wants to help his wife Katjaa and son Duck. Christa wants to save her friend, Omid. Lilly and Larry, as daughter and father, are on the lookout for each other. Yet at the center of all these people is Clementine, a young girl introduced early in the series and the first survivor Lee meets. Lee and Clementine. Every narrative needs a heart. The importance of Clementine to the narrative cannot be understated, and she has gone on to become one of the most treasured characters in gaming history. Clementine is the one person in the story destined to survive, because her removal would have undermined core foundations of the storytelling. As a plot device, she plays Lee’s central motivation for escaping the outbreak. His attachment to Clementine deepens rapidly, and he soon finds himself consumed with saving her. However, we also arrived at Lee’s story shortly after he murdered someone. The Walking Dead touches on this early, and suggests that Lee is aware he needs to set an example for Clementine to follow. His attempts to keep the peace, provide for others, or train Clementine how to fire a guy are all motivated out of a desire to prepare her to be independent someday. Of course, players fill this role as Lee, making the connection to Clementine. In this way, Clementine is also key to character development. Clementine as we first met her. This is also where gaming spaces make narrative so powerful in comparison to other media. As Lee, the player gets to pass on the advice they think is best or share details they think are important. This creates a unique bond to Clementine that would be otherwise beyond achieving in other media. For the player, the relationship with Clementine mimics the relationships others have in the game, that of a caretaker. This is important because it creates the sense of urgency to protect her and to make smart choices. They can also more closely relate to the other characters’ motivations because they’ve been allowed to feel the same urgency themselves. If other games attempt and fail to create the same emotional intensity, even other games in The Walking Dead series, it’s because they fail to understand that the need to protect someone we care for is a powerful motivator. You don’t need a choice based adventure game to accomplish this. To some degree, Bioshock Infinite created a similar effect with Elizabeth. What’s important when creating a narrative is to invest the audience in the characters. In an interactive narrative, giving them someone to care about guarding heightens the experience of everything that follows.